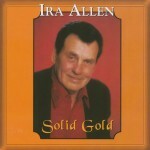 NEVER was there another performer in Country music that has the voice, the personality, and the looks, the Ira Allen has! He IS Mr. Country music! He is a rare find these days!You just LISTEN to that wonderful voice! Amen! Ira’s voice has followed me through the years, from the early 70’s when I met him and the band at the Circle Tavern in Seattle, later at the Riverside Inn in Tukwila WA, to now when I discovered the website about 2 years ago and became online friends with Judi. I had lost track of Ira for more than 20 years and am thrilled to have made contact once again through Judi. I had also lost track of Ira for many years, but through Judi, I found him again, and I love them both dearly! I go every year now to Mchanic Falls to see him! Enjoy your web site more each time I come on. You know I love you both dearly. Ira is my soul mate and Judi you are a dear wonderful friend and sister-in-law. Check Out The New Music Store! Hello All, please take a minute to checkout the new music download store! Just click here or click the "Music" link in the navigation bar. You can download Ira's music by the song or by the album, and you'll be supporting Ira directly, instead of some fancy-schmancy record label. Norm Bean on Welcome to the new IraAllen.com!